A follow-up to the author's highly successful Power Base Selling. Ideal for any kind of salesperson. Chapter 3. Blocking and Trapping. Chapter 4. Selling at the Edge. Chpter 6. The King of Sales Strategy. Chapter 7. De-Installing a Competitor. Chapter 9. 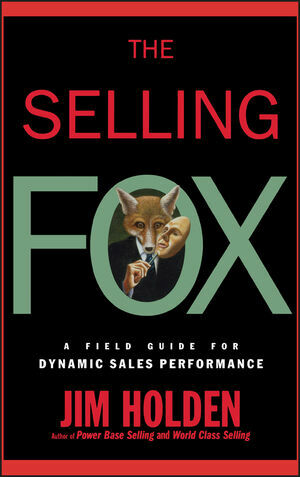 Are You a Selling Fox? Chapter 10. Building Your Personal Business Development System. Appendix: Portrait of a Selling Fox.